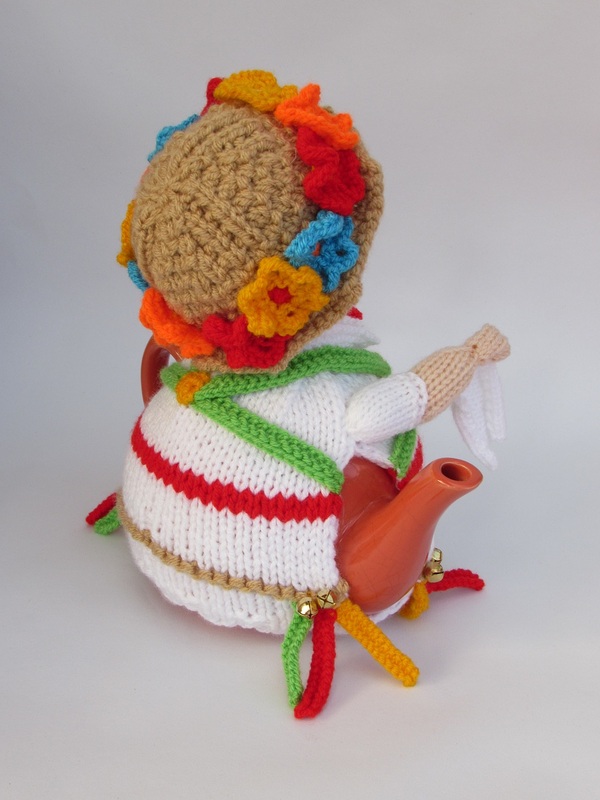 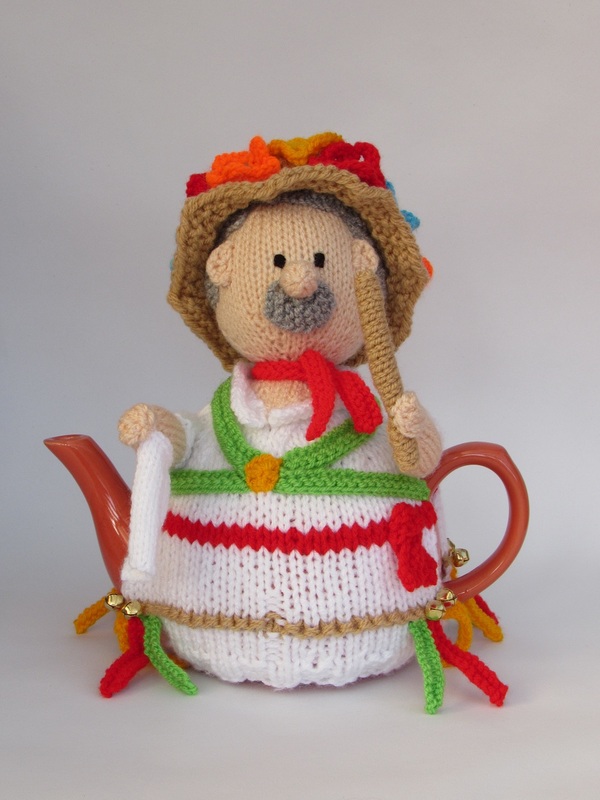 The Morris dancer tea cosy depicts a traditional folk dancer dressed as a Morris man. 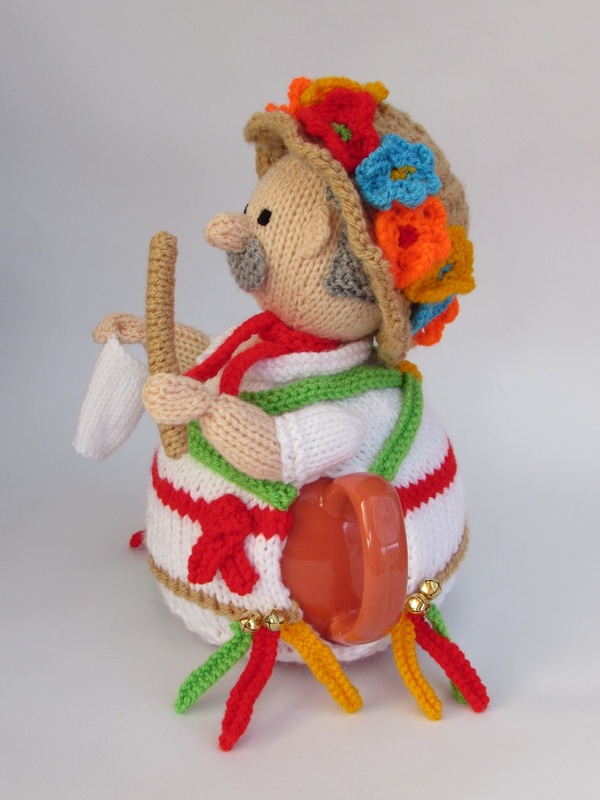 You will see Morris dancers performing at May day fayres and summer garden fates and they make you feel summery and jolly with their brightly coloured costumes, floral hats, ribbons and bells . 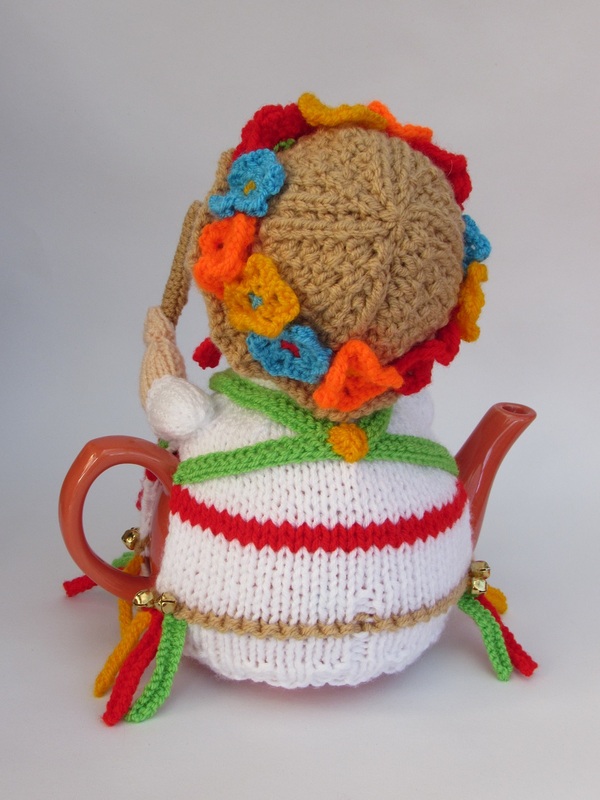 The Morris dancer tea cosy has all the bells and ribbons. 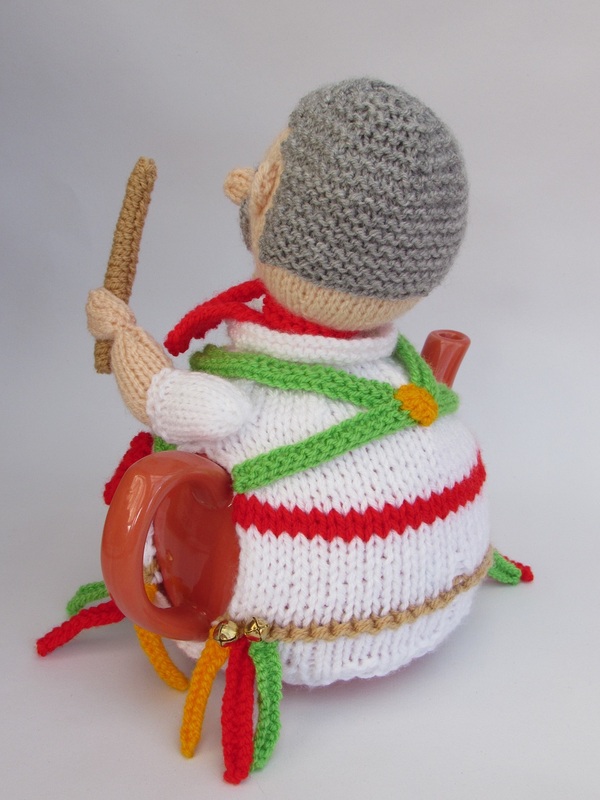 He's sporting a green baldric as he dances with his stick and hankie. 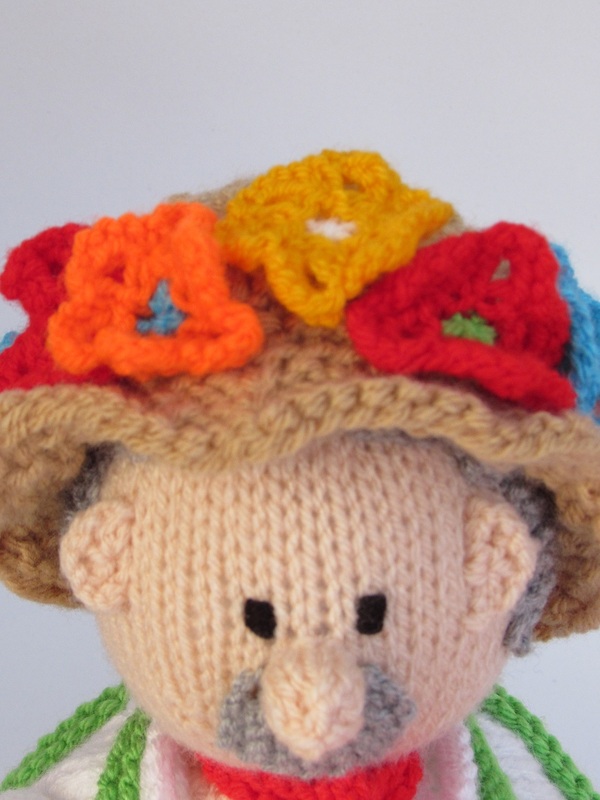 His hat is removable revealing the Morris mans head and hair. 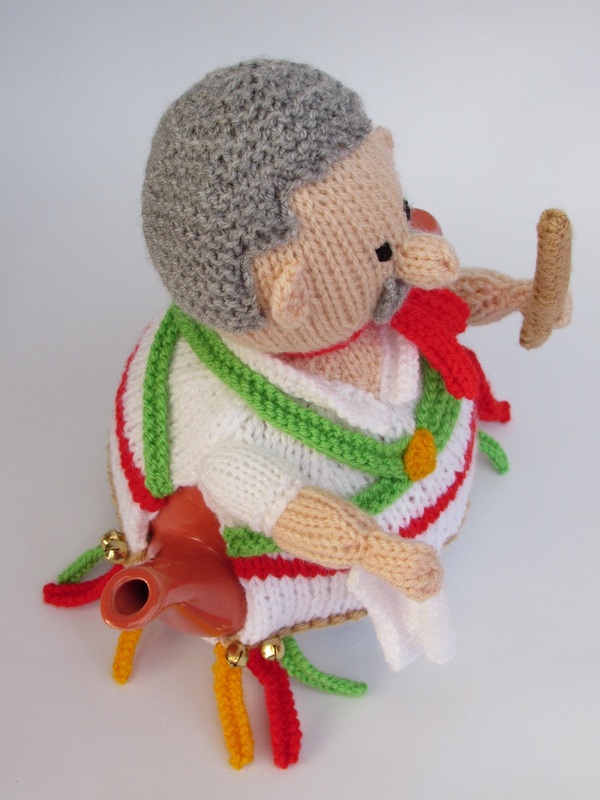 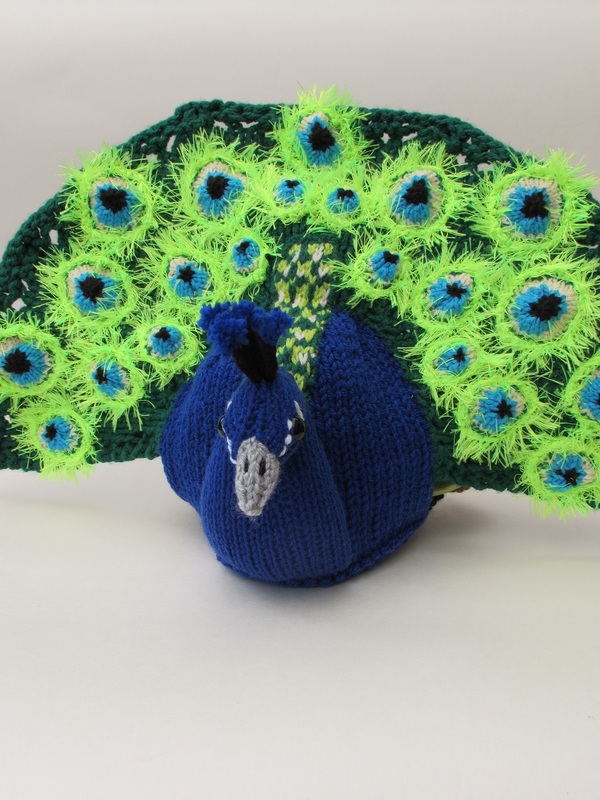 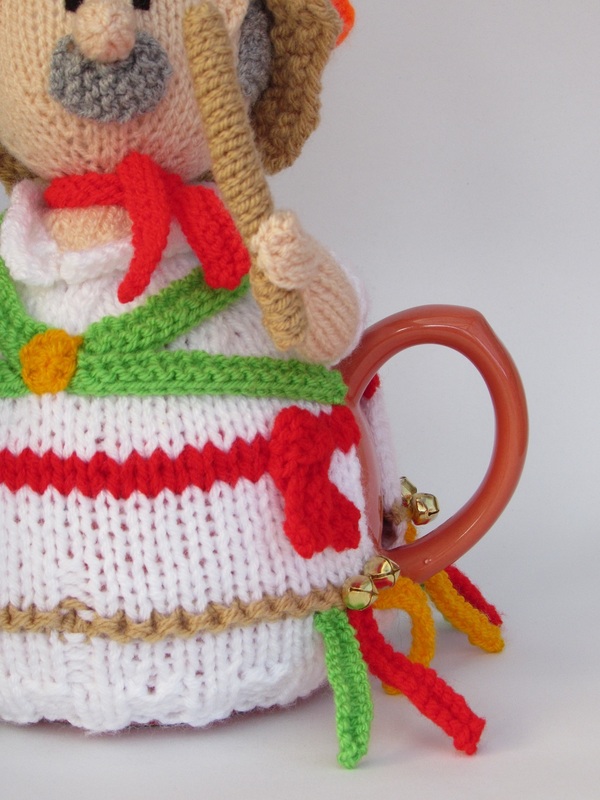 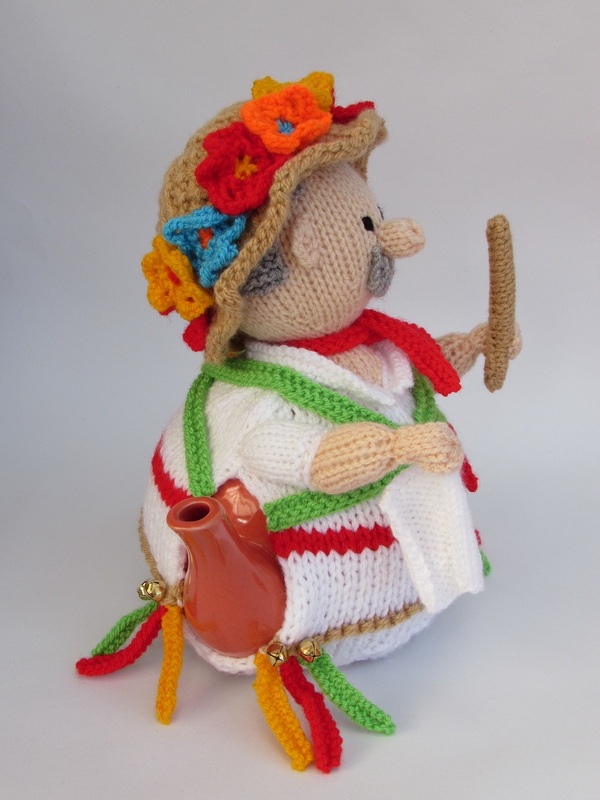 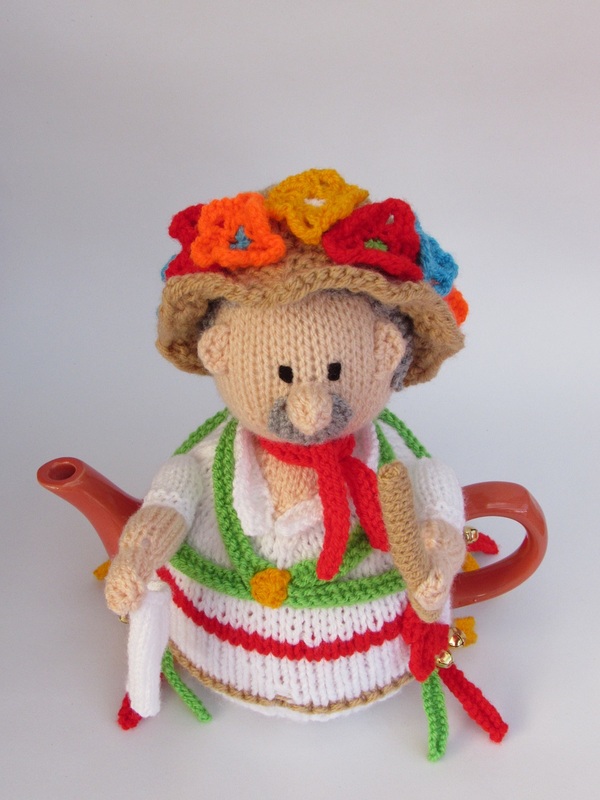 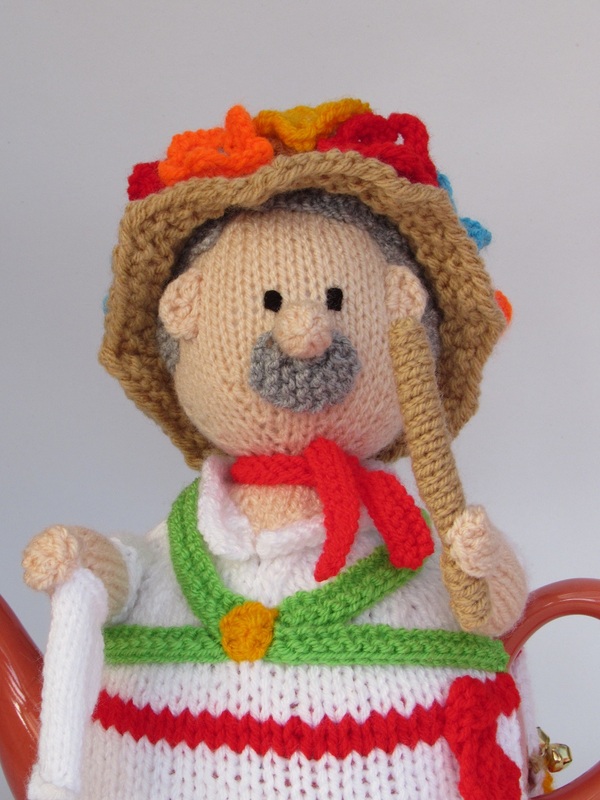 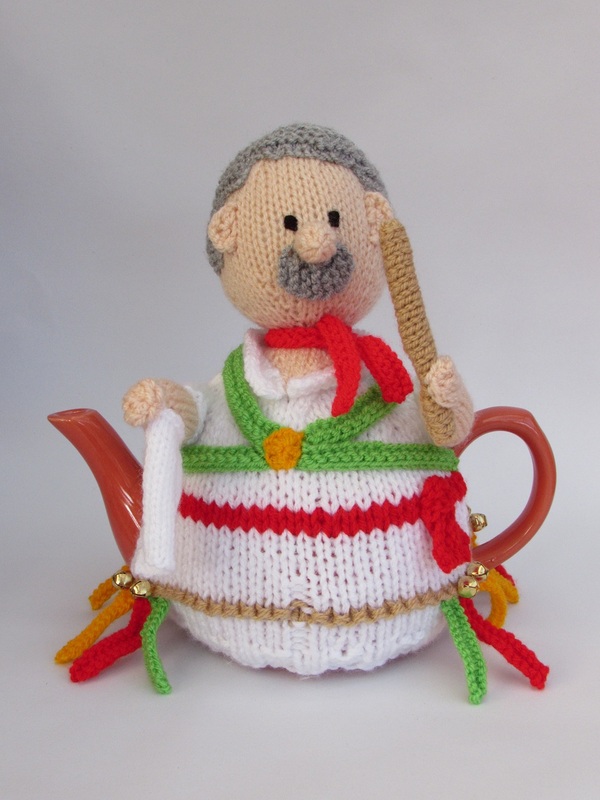 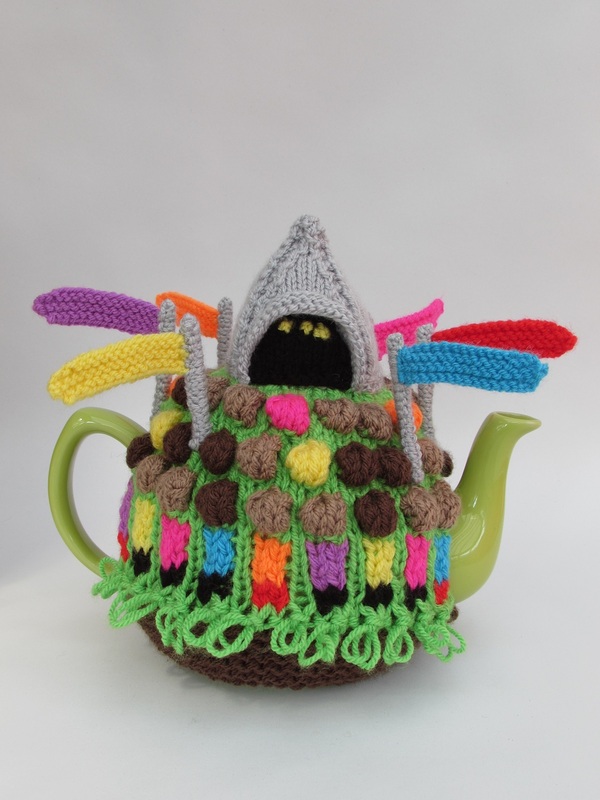 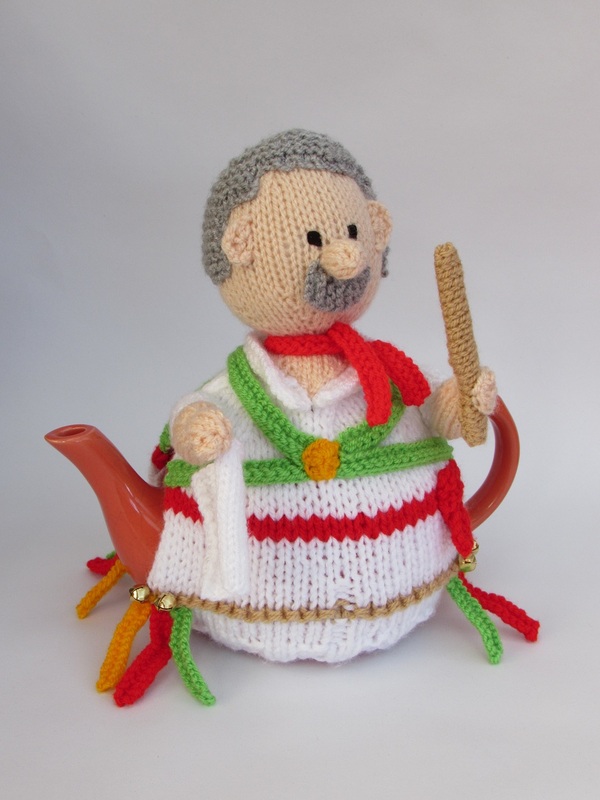 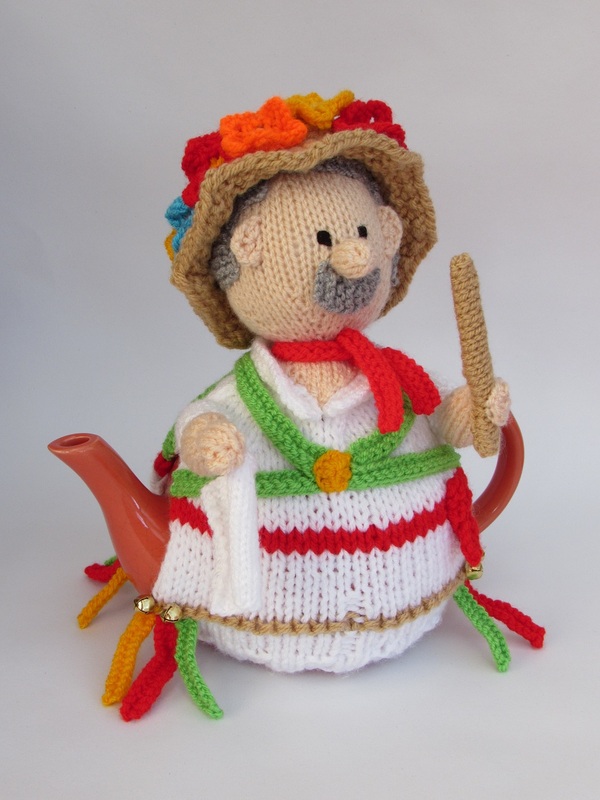 I designed the Morris dancer tea cosy to be an older gentleman with grey hair and a moustache. 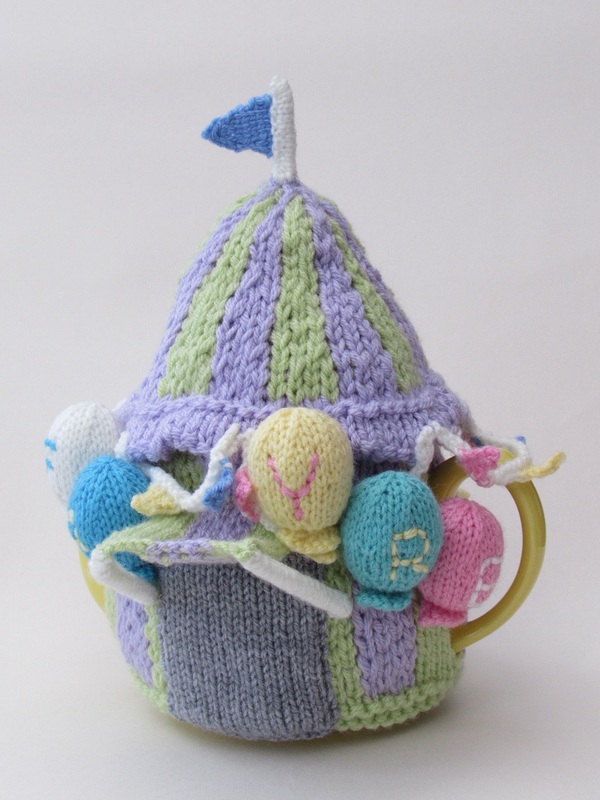 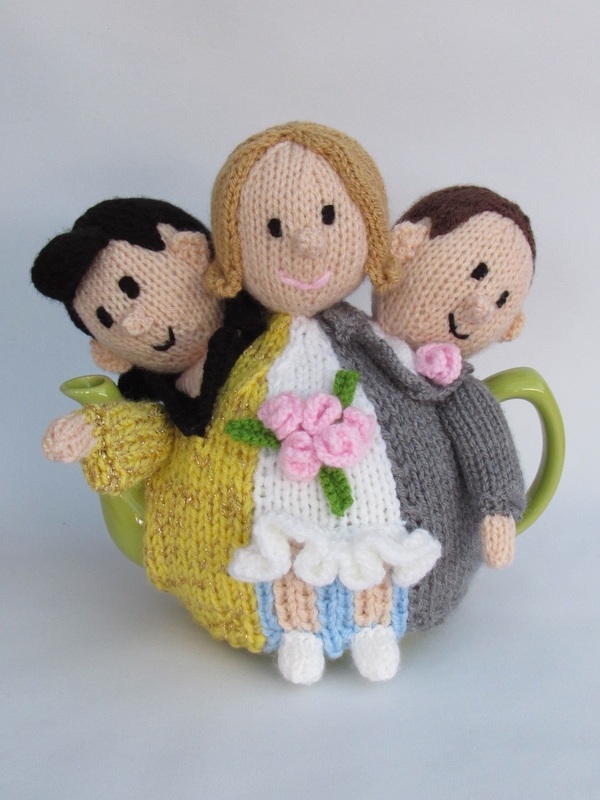 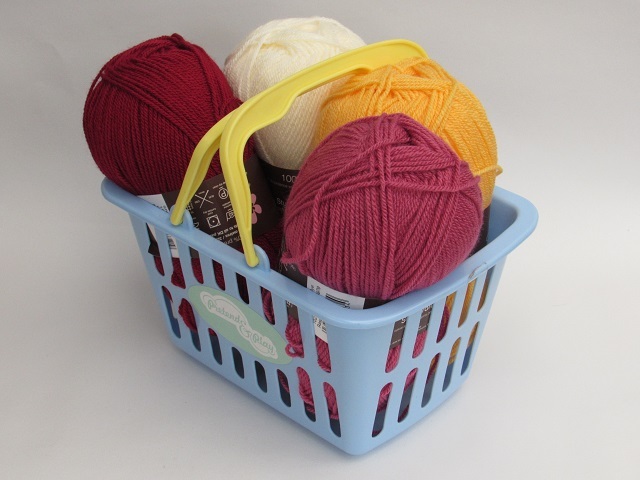 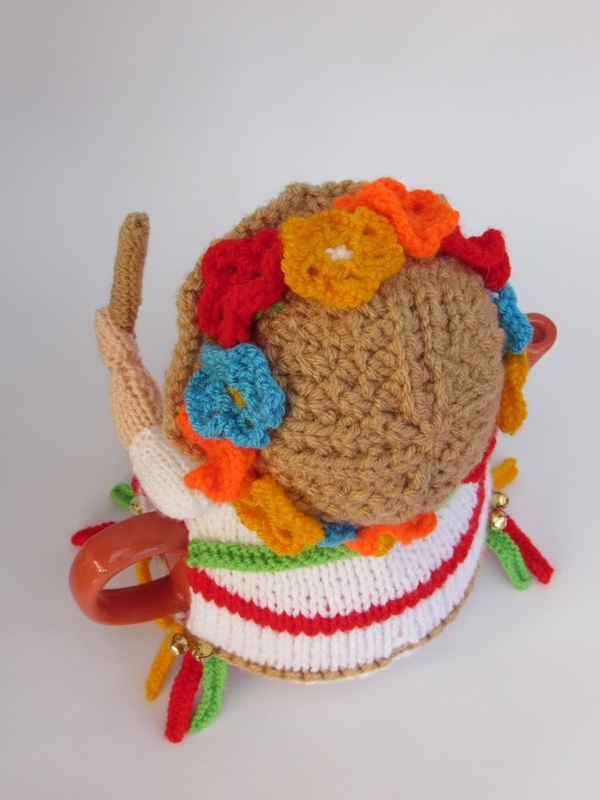 This is a fun tea cosy that makes you think of long summer days and celebrations, perfect for anyone who is fun loving.